We would like to announce that London Gallery (both Roppongi and Shirokane locations) will be closed from Sunday December 29 to Tuesday January 7th, 2014. 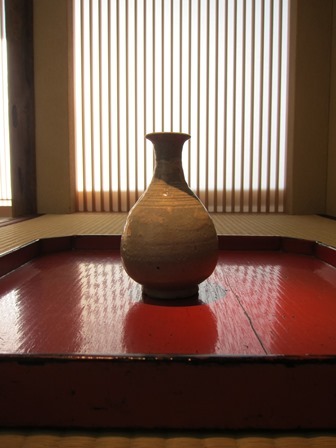 The New Year exhibition in Shirokane will begin on Saturday January 25th, and we will post more details as the time approaches. We would like to thank you for coming to the gallery and checking this blog throughout the year, and look forward the many new things to come in the year to follow. As the weather gets ever colder we hope that you remain warm and healthy through the holidays, and wish you all a Happy New Year! 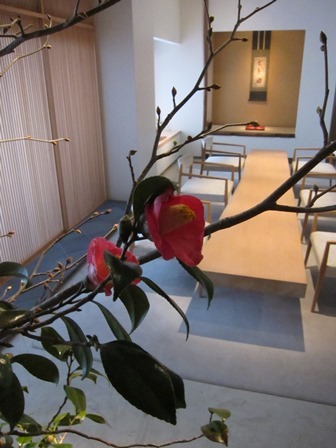 We apologize for the inconvenience, but the gallery in Shirokane will be closed on Friday December 20th. 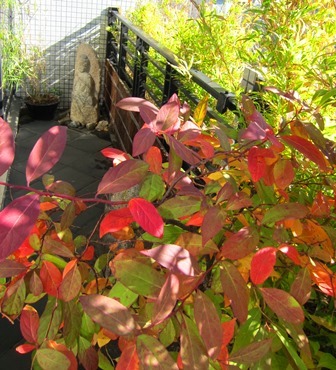 The small garden we have here at Shirokane has finally begun to show its autumn coloration, beautiful in the light of a clear and sunny day. The red coloration of the leaves creates a particularly nice contrast with the stone Buddhist sculpture behind it. 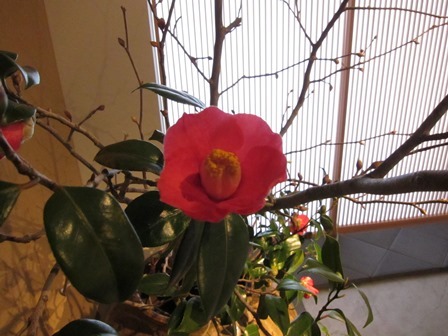 Within the gallery as well, many of the camellia buds have burst into flower and add a colorful element to the display. Our current exhibition lasts until Saturday December 21st, and we hope you will all make it to see the show before then.